Everyone needs a good wallet. A classic swatch of leather with a few card slots is sufficient for some folks. Often these become Constanza wallets with extra goodies and doodads. Thin is increasingly in, however. 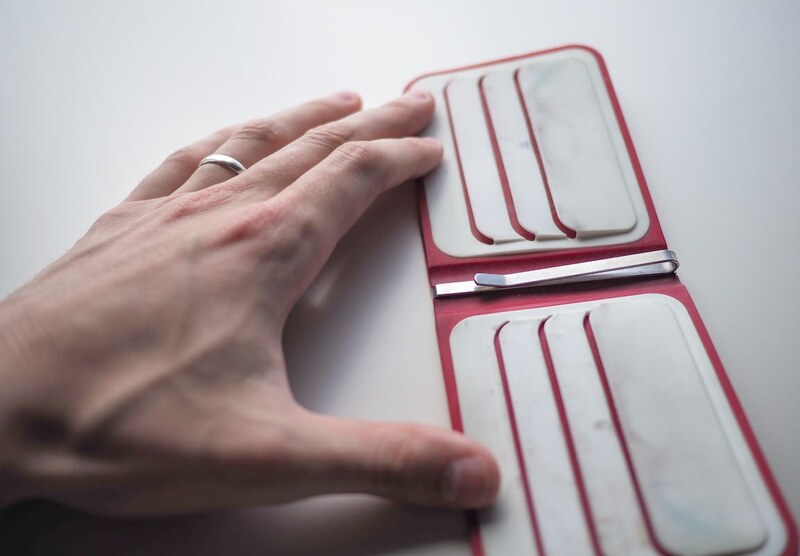 Minimalist billfolds that fit comfortably in a front pocket are super popular. 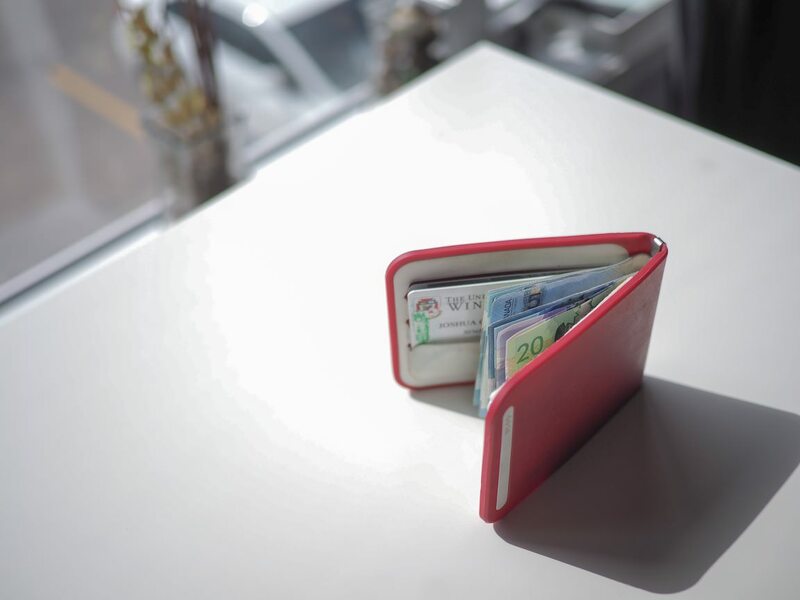 Like the thick Constanza wallet, a thin approach fits some better than others. 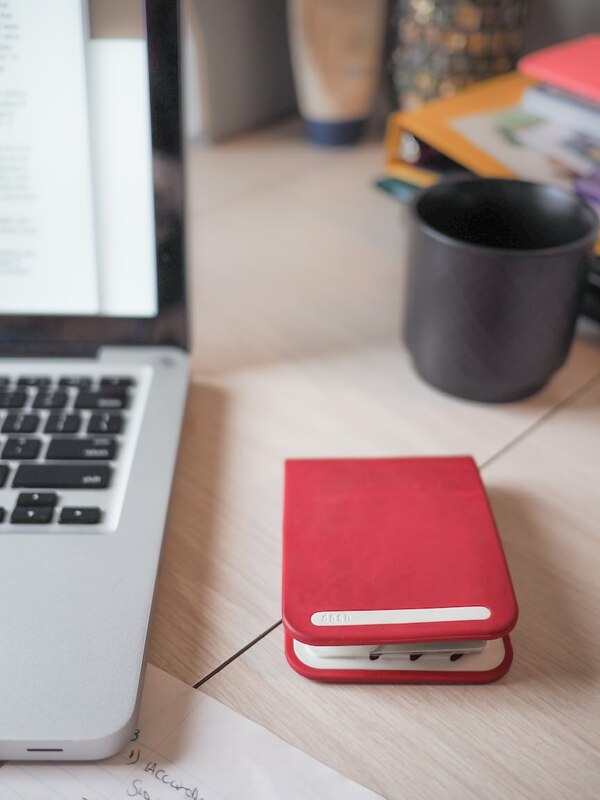 Seemingly impervious to trends is the classic moneyclip. My dad always carried a moneyclip when I was a kid, so I was naturally a moneyclip fan from the outset. Also like my dad, I was known (am known, perhaps?) to leave my wallet in my pants from time to time. Common was the day when you could find my wallet’s contents strewn across the kitchen table fluttering quietly in the fan’s drying breeze. 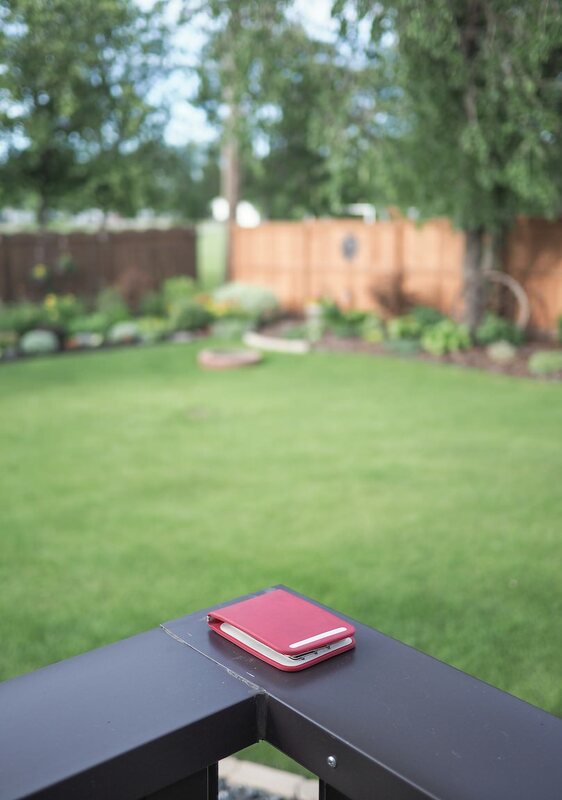 What could possibly be better than a waterproof wallet then? The trend toward plastic and the new polymer Canadian bills all but eliminate the worry of forgetting my wallet in the washing machine. 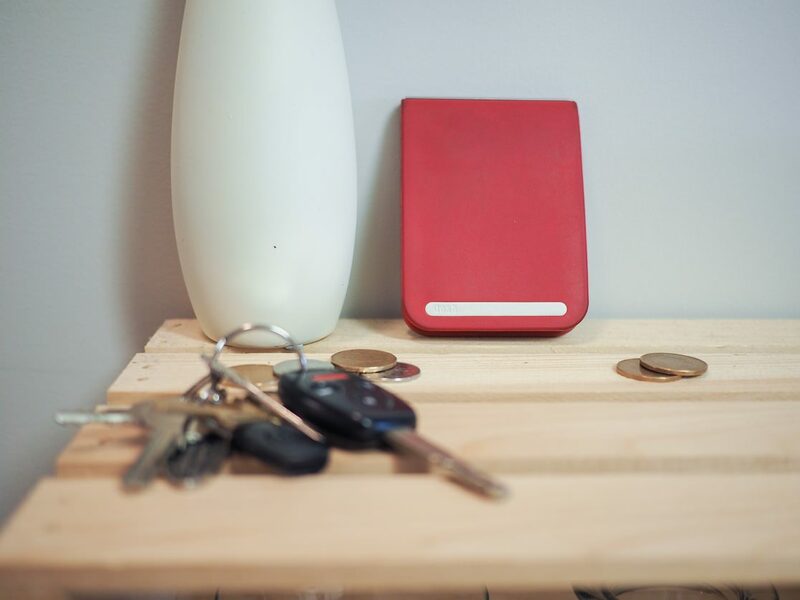 I stumbled upon a Dosh Brand Aero Wallet at a small shop in Winnipeg and I was blown away by the unique design. The Dosh Aero is made of a water resistant TPU material — I would call it silicone, like the silicone found on athletic wrist watch bands. The Dosh Aero can hold six cards in its surprisingly hard plastic holder and can hold all types of currency in its beautiful metal clip. The hard plastic has pros and cons. The white plastic in the red Dosh Aero picks up all sorts of grime and oils and is impossible to clean. 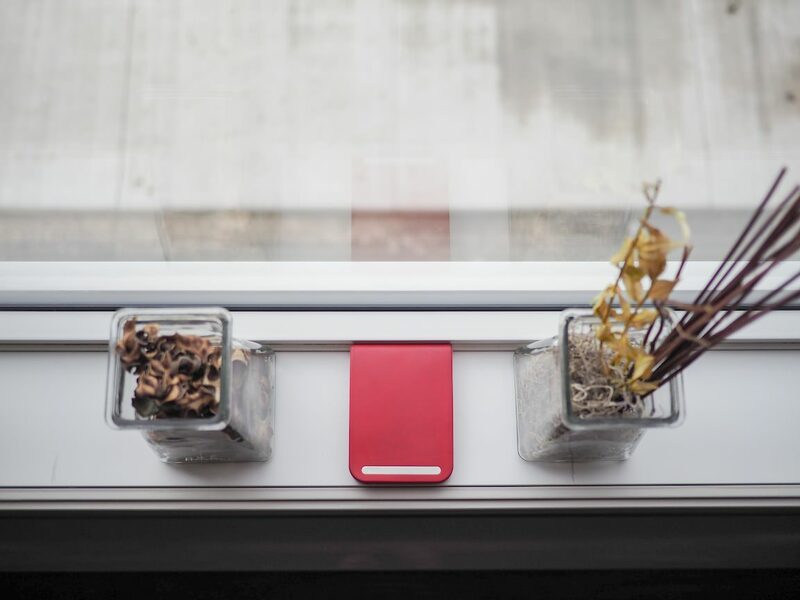 Positively, the hard plastic is very secure — sometimes too secure. Once a card is slid into a card slot (especially the backmost slot), that card is there to stay. I put my most used cards in the front slot where it’s easier to slide things in and out. 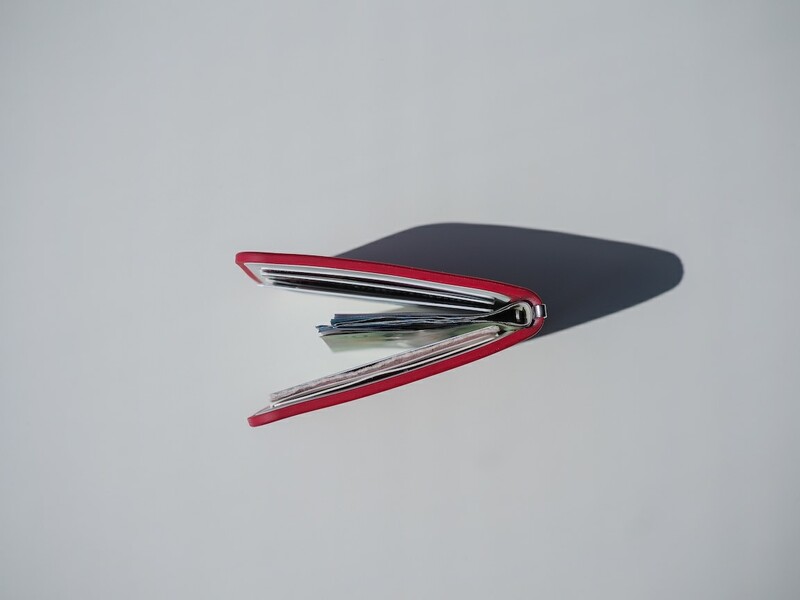 The hard plastic also maintains the shape of the wallet. The wallet does not stay open on its own, hence the need to hold the wallet open when I snapped the photo above. I don’t mind this, but some may hate this feature. The silicone material, as stated earlier, is waterproof. This is the wallet you want when you get pushed into the backyard pool at a posh party. Again though, the silicone material has its downsides. 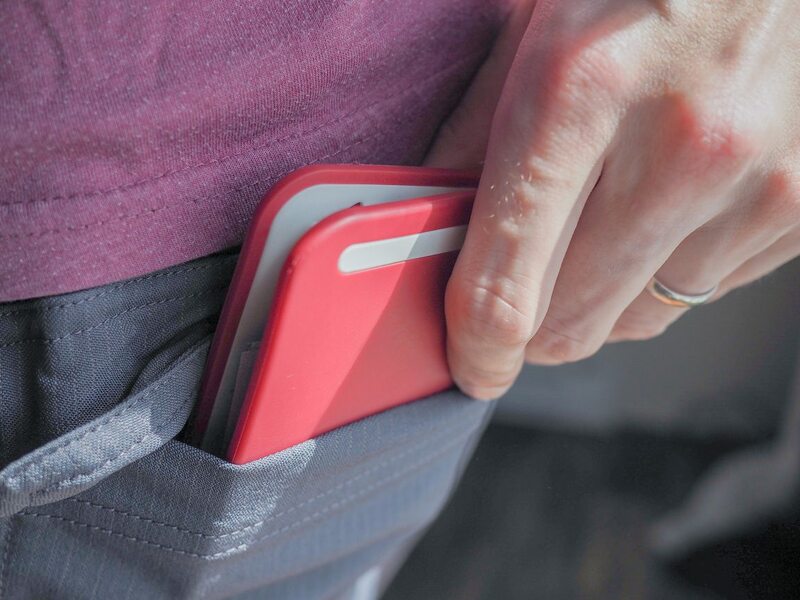 The material is extremely tactile, so pulling the Dosh Aero out of your front pocket can be frustrating. I’ve especially found the fabric inside denim jeans pockets to exacerbate the problem. 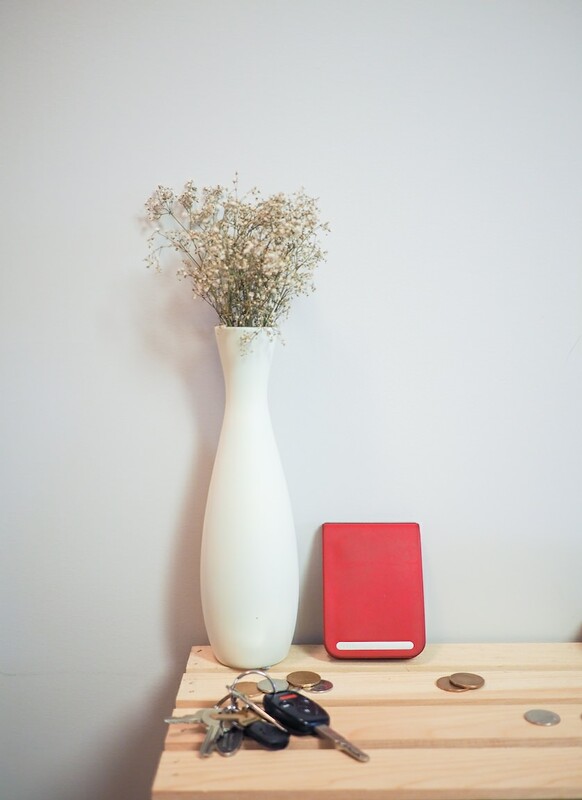 A little moisture and this wallet doesn’t want to come out and play… erm, pay. Loose dress pant pockets handle the silicone material better than the material in denim jean pockets. 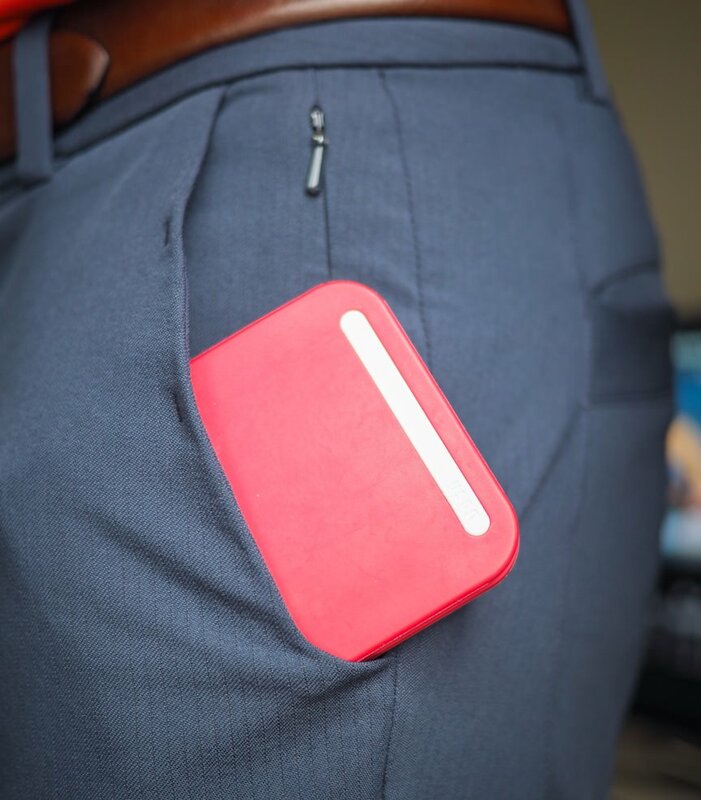 Back pockets work well in general, but sliding this wallet in your back pocket defeats the purpose of a thin moneyclip. Undoubtedly, the main attraction of the Dosh Aero is its unorthodox style. The bright red exterior is dying for attention. 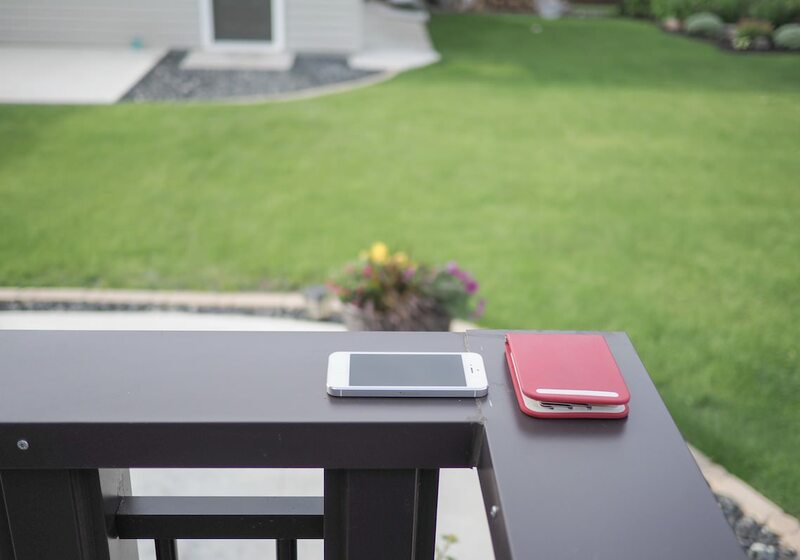 The white band and striking red fit any patriotic theme we Canadians may have. To this day, I get comments when I pull my wallet out of my pocket. The sturdy metal clip is very durable and is my favourite feature. In fact, the strong metal clip is what makes me come back to the Dosh Aero. If the Aero had a poorly executed moneyclip, its simple utility would be crushed. And that utility better be fulfilled at this price point. Maybe you pay for the Dosh branding, or maybe you pay heavily for the striking design. Either way, the $75 USD purchase price can be a tough pill to swallow when considering the silicone wallet’s pitfalls. Should you buy a Dosh Aero? You have to know what you’re getting into. The Dosh Aero’s design is obnoxious at times — it screams for attention when you don’t want attention. The waterproof silicone material is really unique and presents pros and cons. 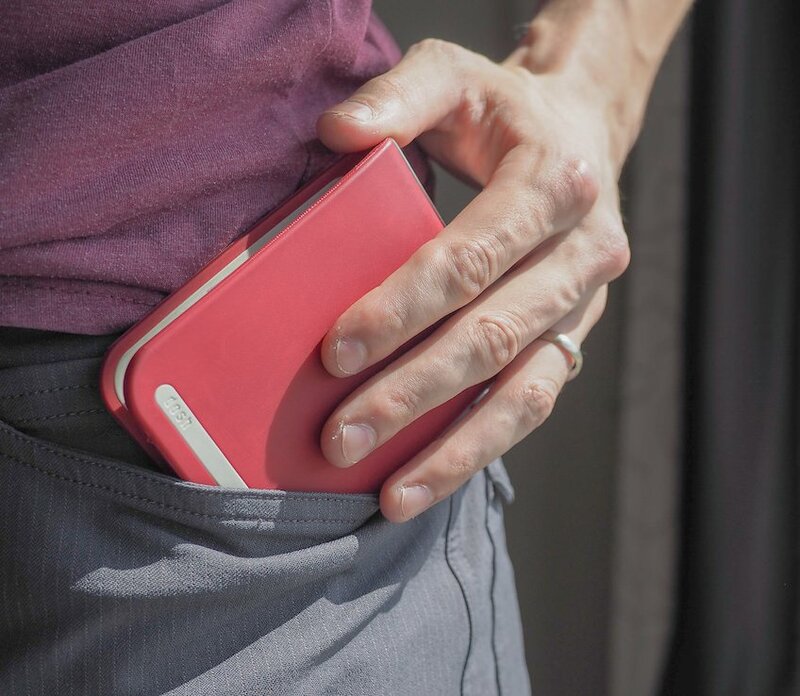 It’s waterproof, which few wallets can brag about. But it also adheres to the inside of your pockets. Lastly, the hard plastic interior card slots are obtrusively secure. The card in the backmost slot is next to impossible to remove. 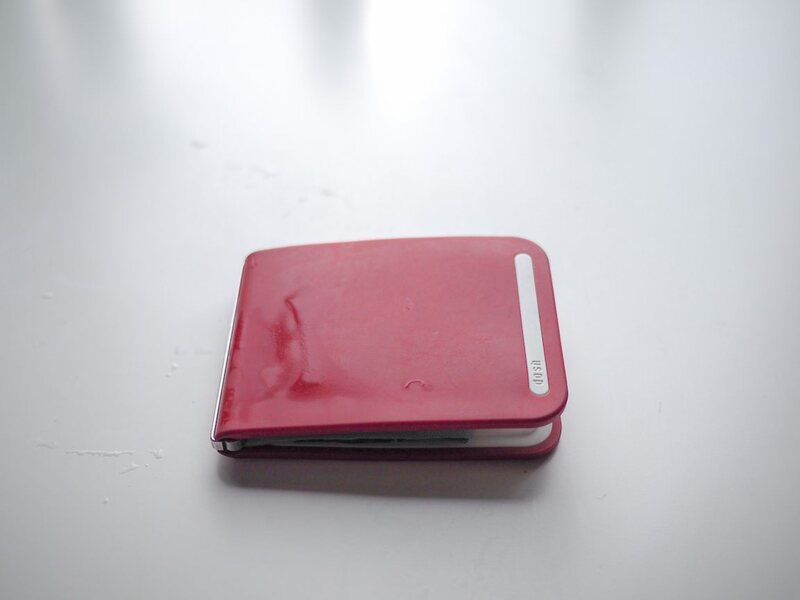 Further, the hard plastic maintains the shape of the wallet and makes the wallet snap closed when not held tightly. I don’t blame you if you take a pass. The Dosh Aero has character in some good ways and in some bad ways. Some days, I find it rubs me the wrong way and I go looking for an alternative. Other days, I’m proud of the moneyclip I’m sliding out of my pants pocket. How do I feel today? Well, I just did some research on a different wallet.